Almost there, everyone. We're almost there. Just gotta finish up today and we'll be back to the weekend. I hope you have some gaming lined up. I do. Then we'll see how it goes afterward. Either way, I need to stock up on some bite-sized gaming stories. So, as is our tradition on Fridays, let's see what we've got. 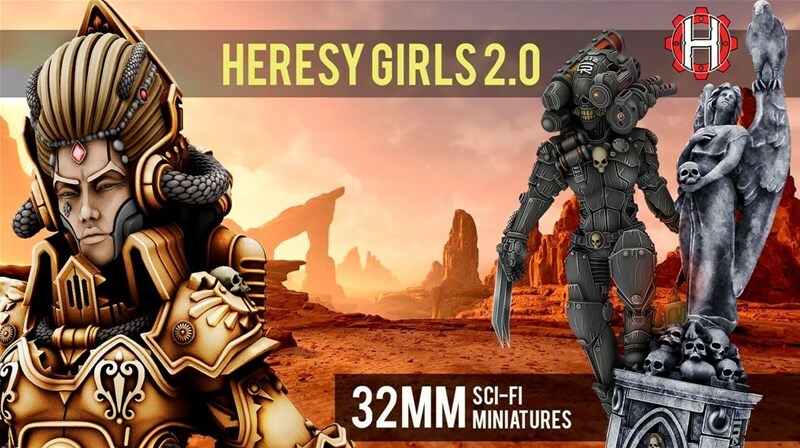 Today on the platter we have: HeresyLab Heresy Girls 2.0 resin Scifi miniatures & STL Up On Kickstarter, New Mechanized Commissar From Brother Vinni, and Berry Taffy Releasing Tonight From Kraken Dice. HG 2.0 will begin with 10 figures and expand to add more figures, add-ons, and freebies based on funding. If a picture is worth a thousand words than these images should speak for themselves. Mechanized Commissar, 28mm sci-fi wargame miniature. Brave commissar, that have lost his eye and arm in battle and changet it to mechanical prothesis. Мultipart 28 mm miniature. Resin casting. Unpainted, unassembled, base not included. 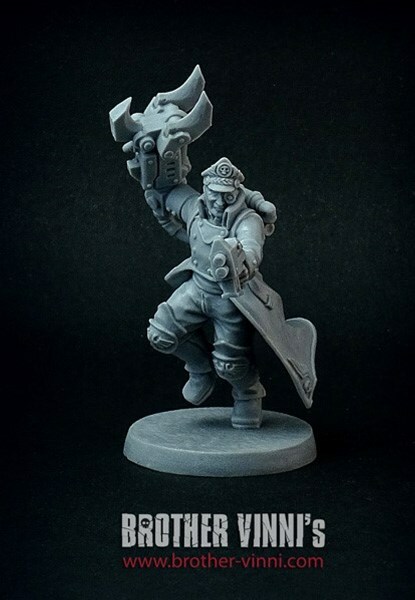 Miniature designed and casted by Brother Vinni's studio. 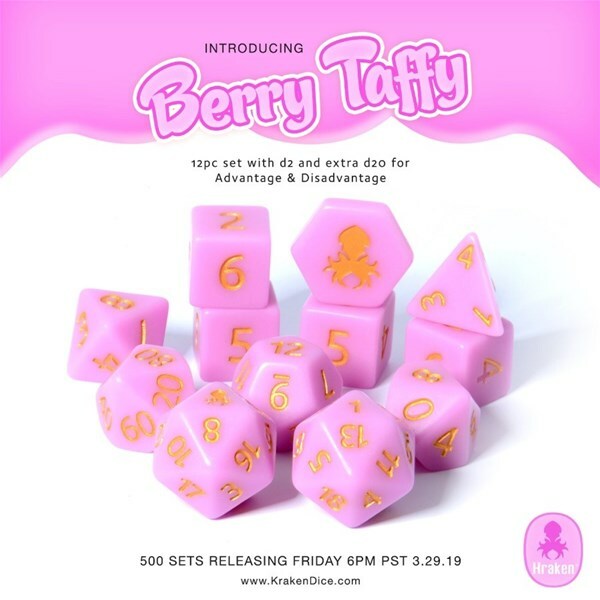 Kraken Dice proudly presents Berry Taffy. These gorgeous matte berry colored dice with gold numbering will have you questioning which is your dice bag and which is your candy jar. Made in our signature 12 piece mold they are certain to be a great conversation starter and a blinding addition to any dice collection. Tailored for the advantage and disadvantage system, our Dungeons and Dragons compatible Kraken original 11 and 12 piece dice, provide you with everything you need to make the most of your D&D and other RPG sessions. Our 11 and 12 piece Kraken original RPG dice sets are the perfect choice for your 5th edition D&D session 0, one shot, or full campaign. Whether it’s a quick Dungeon delve or a yearlong Dragon hunt, our 11 and 12 piece Kraken original dice sets will provide you years of fun on your D&D and RPG adventures.